The GO-E2 uses a 5-HP motor to generate a constant speed of 34-RPM and a power output of 2,000 ft-lb during surge and 875 ft-lb during operation. The GO-E2 is an electric-powered Railcar Gate Opener with a rotating platform (for a full 360° swivel) on a rolling carriage (to mount to secured-to-ground W-beam), utilizing pendant controlled, instant Forward-Reverse action, and a telescoping drive shaft with both vertical and horizontal adjustment (to follow traveling gate; accommodate varied height capstans). Rough or uneven trackside terrain making opener maneuverability an issue. 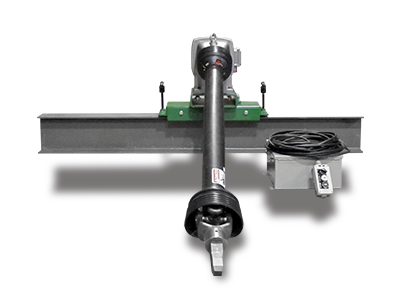 180° pivot enables opening hopper car gates on parallel tracks, and a 90° pivot enables safe, out-of-the-way drive shaft protection when not in use. The Rolling Carriage locates and locks-down the Opener directly opposite every gate, anywhere along the unloading site. Telescopes 40″ to 82″ (longer lengths available) and angles 50° vertical and horizontal to accommodate both traveling gate mechanisms and varied height gates. Precision machined, 4140 tool steel, 1-piece step-tapered drive tip 1-1/4″ x 1-1/2″ sq shank using HD set-screw retainer will last through hundreds of gate openings. 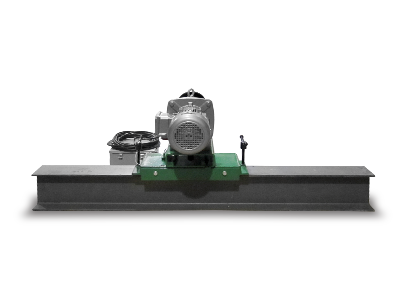 Pushbutton control up to 20′ from railcar gate enables instantaneous forward/reverse job of gear motor to rock-open even stubborn gates. Easily compensates for differing height gates, or variations in unloading site docks or platforms. Provides low noise, low maintenance, and high durability. 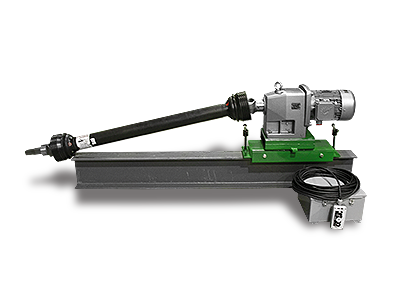 Manufactured to AGMA Class 3 standards allows 275% momentary overload capacity. Meets even the tightest budget when an electric powered Gate Opener is required. 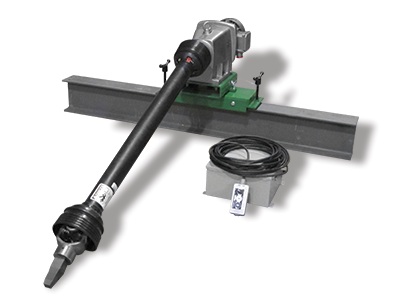 Accommodates noise restrictions at plant and unloading site operations.